Lobbies & Reception Areas. Exhibitsusa. What do visitors see when they enter your lobby doors? Beautiful art? A reception counter? The latest magazines or industry journals neatly displayed on an end table? Why not use that first impression opportunity to make a splash with professional graphics featuring your company logo, mission statement or images of your most notable products? 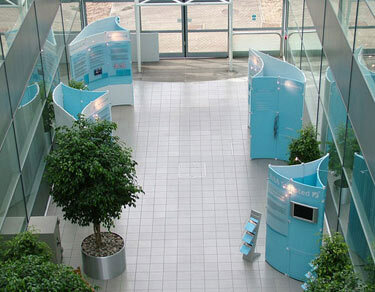 Get more ideas for your lobby and reception areas by creating a branded environment. 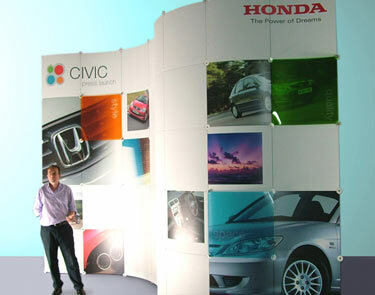 Reuse trade show displays when not in use for lobbies or reception areas – just change the graphics! 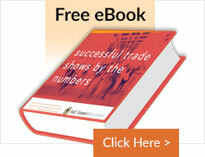 E&E Exhibit Solutions has a complete line of Exhibit Displays, trade show graphics, and accessories for your business. consultants will be happy to help!